Honda City – 2006 is a face lifted model of Honda city 2004, which is also classified in to fourth generation model, was launched to the public in Thailand at first place under name of City ZX which was later uncovered in Pakistan, Indonesia, Malaysia, Philippines, India, China and Singapore. It has been locally manufactured in Pakistan during 2005–2008. The major changes are made in the city’s headlamps and grille, bumpers, taillights and fog lights. It is 4-door sedan with FF layout which is front engine and four drive feature. Honda City – 2006 is smartly facelifted sedan when it comes to the weight and size which makes it easier and comfortable to drive in traffic conditions. Some of the minor changes also been made in size including extension of front and rear end by 65 mm and 15 mm respectively. Honda equips its vehicles with some of the most comfortable and mesmerizing interiors, which make you feel luxurious and elegant while driving or sitting. In 2006 facelift of Honda city, little changes are made which include armrest for driver and in design of map light. The dashboard which is sleek design made up of plastic, leather and rexine same as the seats, in the middle you would find the ac air output, multimedia system, ac controllers and small container to put tiny stuff. While in the middle there is a manual or automatic gear lever, a hand break and a box to put medium size stuff. At the other side of the steering wheel there is glove compartment. The engine of Honda City – 2006 has three types variants including 1.3 L L13A i-DSI SOHC I4, 1.5 L L15A2 i-DSI SOHC I4 and 1.5 L L15A1 VTEC SOHC I4 engines which offer both manual and automatic transmission. The intake manifold has replaced in order to reduce the temperature up to 6 °C and new suspension has been installed. Honda city 2006 is estimated 11.6 kmpl to 16 kilometers per liters which is best in 1300 cc car mileage in comparison to other giants of brands. Compare all models of Honda City 2006 Price in Pakistan; explore 2006 Honda City Sedan specs, images (exterior & interior), videos, consumer and expert reviews. 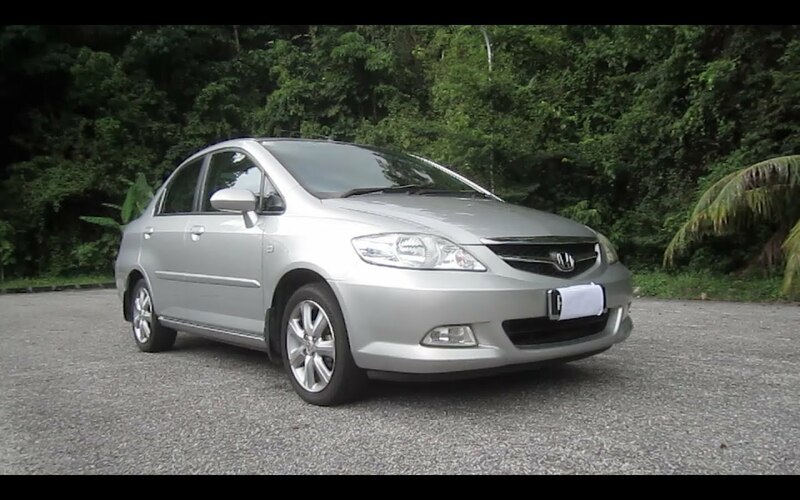 Honda City 2006 features include transmission type (automatic/ manual), engine cc type, horsepower, fuel economy (mileage), body type, steering wheels & more. The most economical price Honda City 2006 model is the City i-DSI at PKR 730,000 and the most expensive model is the City VTEC Steermatic at PKR 920,000. Currently (3) Honda City 2006 model variations are (Honda City 2006 i-DSI, Honda City 2006 i-DSI Vario, Honda City 2006 VTEC Steermatic) available in all cities (Karachi, Lahore, Islamabad, Quetta, and Peshawar etc. ).